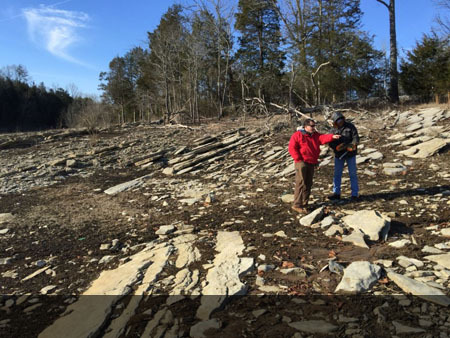 Dr. Robert Hatcher Leads the Folds in the Ft. Payne Formation Field Trip near Celina, TN. 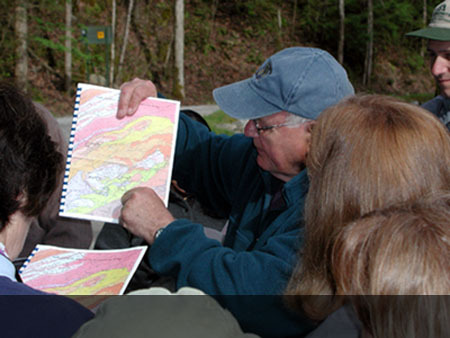 Dr. Don Byerly leads an ETGS field trip in Great Smoky Mountains National Park. 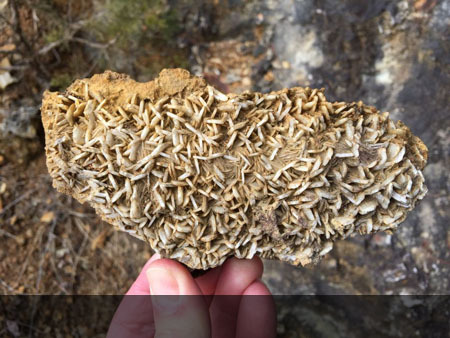 Sharps Chapel Stromatolite Fossil Site Near Claiborne County Boat Ramp. 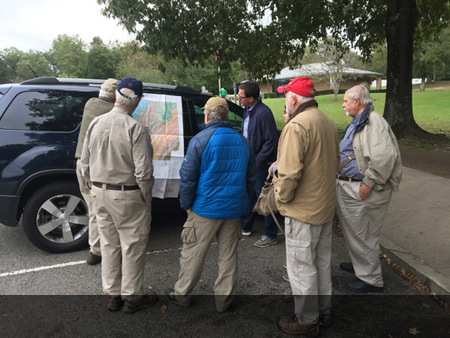 Thomas McComb Leading the Field Trip to Copper Basin, Ducktown, Tennessee. 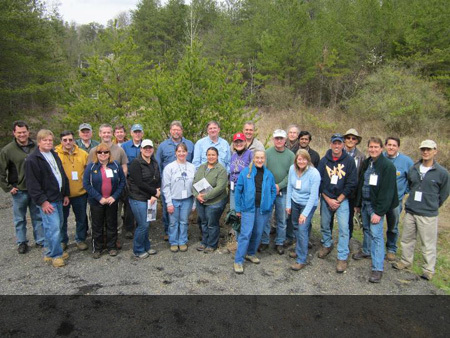 Attendees on Lower Pennsylvanian Geology and Shallow Brittle Deformation in the Wartburg Area Field Trip. 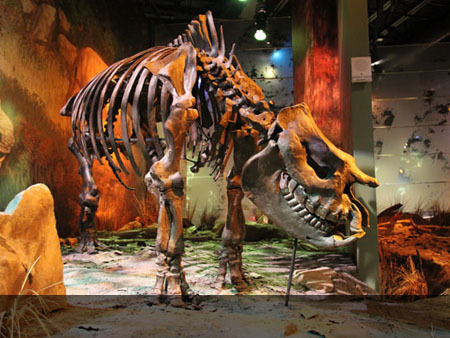 Rhinoceros - Gray Fossil Site field Trip Led by Harry Moore and Don Byerly. 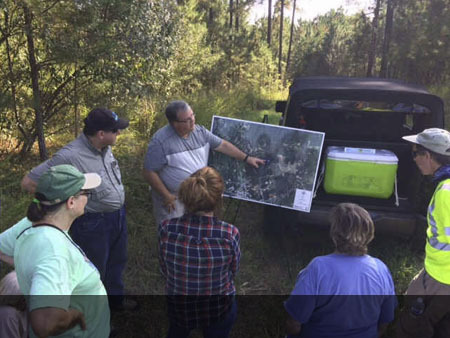 Travis Paris leads Geology and Mineralogy of the Sharps Chapel Area Field Trip, With the New Prospect Mine at Leadmine Bend. 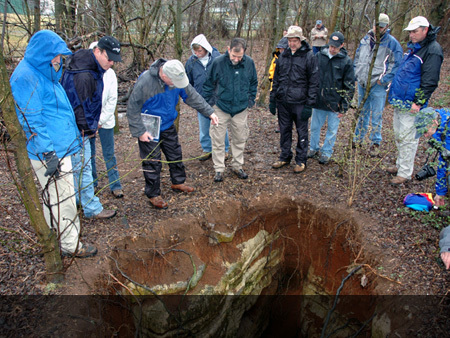 Tom Zondlo leads Karst Hydrogeology Field Trip of the Ten Mile Creek Watershed, with Groundwater Divides/Karst/Stormwater Engineering. 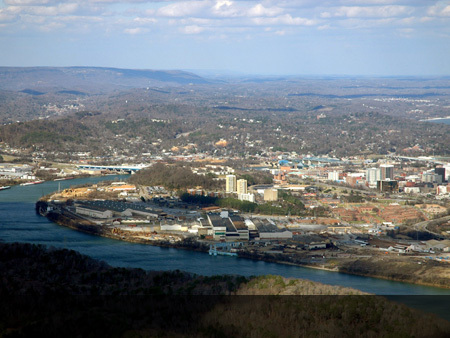 Structural Geology of the Chattanooga Area Field Trip with View of downtown Chattanooga and Moccasin Bend from Point Park. 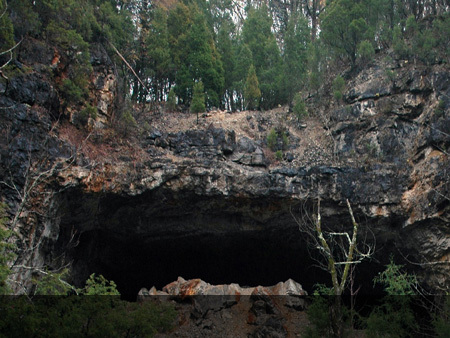 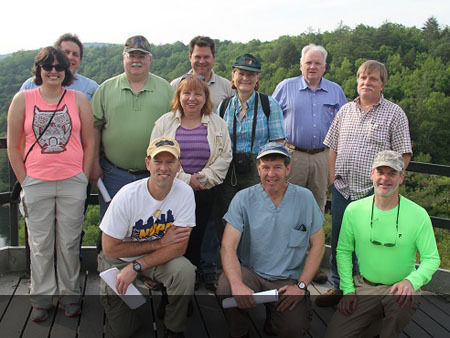 Field Trip Attendees on Geology in the Area of the Oak Ridge Reservation, led by Dr. Robert Hatcher.